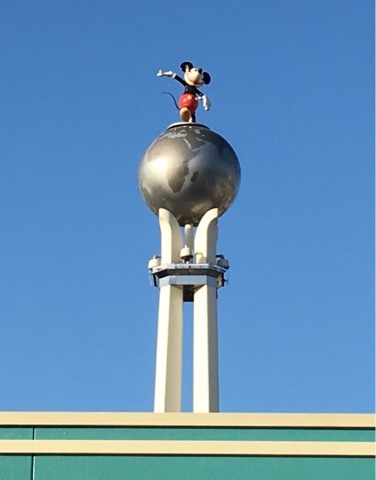 This Mickey sits atop the "Crossroads Tower" just inside the entrance to Hollywood Studios. Mickey serves two purposes. He is there to welcome guests as they enter the park, and his right ear is actually a lightning rod. 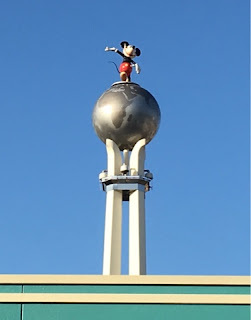 I took this shot just before entering the park a few weeks ago.